Certainly, in the center of the city. This is a value-enhancing investment, especially with the buildings under construction. Annual growth in the value of the apartments ranges from 20% to 60%, depending on the class of the building and the apartment exclusiveness. Investing in the projects of Taryan Group is the right investment. These projects are state-of-the-art residential complexes, and each one is unique. Taryan Group focuses on the creation of unique values for each client and on the combination of innovative design, advanced technology and the highest quality standards. securities by the number of square meters but cannot sell them to the Buyer directly – this function is performed by a trader. At the same time, both companies are accountable to the State Authority – the National Commission on the regulation of financial services markets, which checks the Developer and can guarantee the Investor that the Developer will fulfill their obligations. the contract with the construction company to have the property reserved for them. The Buyers can be sure that they will get exactly the housing that they have chosen to purchase. The Construction of the building is funded through the purchase of housing bonds by the Investor. After the construction completion, the company buys them by paying in square meters. is regulated by the Ukrainian legislation. In part 3, art. 4 of the Law of Ukraine "On investment activity" it is defined, that investing and financing construction of housing projects can be carried out through the issue of bonds where fulfillment of obligations may involve handing over a housing object (or a part of it). Interest-free installment plan is provided (with price fixing for 1 square meter). Investing in Taryan Group real estate projects is completely safe and reliable. The purchase is made through a legal mechanism – the purchase of housing bonds. 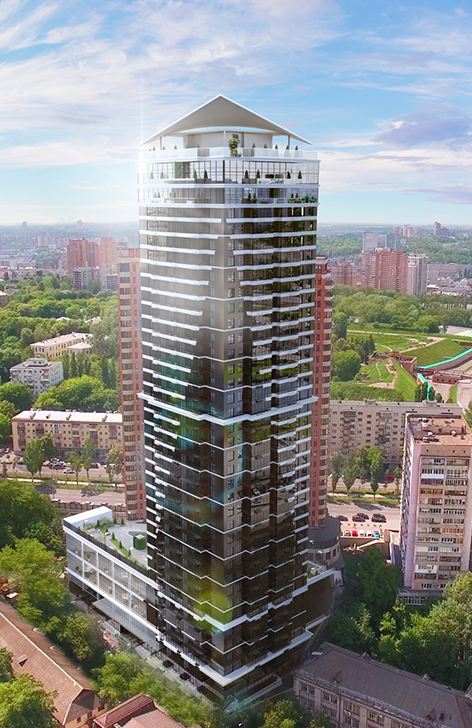 The construction of ROYAL TOWER is being carried out under License No. AE 180302 issued by the State Architectural and Construction Inspection for construction, dated 9 November 2012, and Construction Permit No. KV 12412512168 dated July 3, 2015. The piece of land where ROYAL TOWER is being constructed, is titled in the name of the Company-Developer.